Our food producers offer you fresh meat, fruit & vegetables, dairy products, honey, bread, cakes, eggs, jams, pickles, pies and more! With free, easy parking and our own Market Cafe, we are just a few minutes walk away from the town centre. 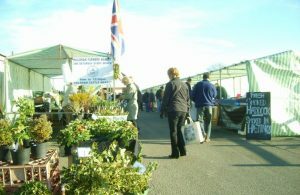 For more information or to book a stall, please call 01892 852168 or email info@hailshamfarmersmarket.co.uk.